I have a 16' x 28' oval /deep end Doughboy pool. It's a long story but bottom line is, the Pool Guy says we have to have the exact same size liner as the pool measurements - which is fine except it's not a standard size pool and all I can find is a 16' X 32'. I was thinking logic dictates that the liner would need to be a little bigger because it needs to stretch. The pool guy says I am wrong and wants 900 for a new liner BEFORE install. Is he right? Hi Kelly. Doughboy made a 16' x 24' a 16' x 28' and a 16' x 32'. The 16' x 28' was a special order in my area but they were still available. The other two were always in stock and so were the liners. Since 16' x 28' is a Doughboy size any Doughboy dealer should be able to order one for you. For an expandable Doughboy liner 900 sounds a little steep but maybe not that much, they are expensive. There are a few places, other than Doughboy dealers, that sell 16' wide oval liners but not to many since they are only a Doughboy size and the 15' wide pools are much more common. As far as using any other size liner in your pool, don't. They will not fit. A larger liner will be so baggy and full of wrinkles, you would not be able to enjoy it. The installer I have was told wrong on how to install my liner, he started out wrong, putting the liner down in the pool and trying to fill it up and getting the wrinkles out, didn't work . Can we take it out and reinstall it the right way, been looking on your site and think we can do it our selves? Just need to know if the liner is still good. Hi Steph. The liner should be just fine to stretch into place properly, as long as the skimmer and return openings were not cut. 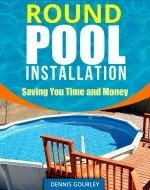 Hello Kelly, I just went shopping for a 16x28 Doughboy overlap pool liner and found one at Backyard Masters on Long Island, NY for $480 and about $450 for the installation. I was told that you cannot put a bigger liner in the pool because it will sag. Thanks for the tip. Keep in mind, however, that Swimline liners are no where near the quality of a Doughboy, so you are getting what you pay for. Have an old Doughboy AGP and don't know what size it is! How can I find out? Hi Corey. You need to measure it from inside wall to inside wall. This should give you a measurement very close to one of the Doughboy sizes. They have sizes slightly different than most other companies. Doughboy uses 16' as the width for most of their ovals where other companies use 15'.